Reports coming in from North Korea camp is that after the failed Vietnam summit between Donald Trump and Kim Jong-Un, the citizens of NK are beginning to grumble because of the heavy sanctions that is placed on the country, and to discourage dissent among its citizens, the North Korean government has decided to reward citizens that report anyone that complains about the North Korea economy or the top government official, smugglers, drug users and illegal phone users. "The provincial police department had a meeting on Mar. 24 where they announced that they would start paying rewards to those who report illegal phone users, those who complain about the state or its government, smugglers and drug users. People who want to get the rewards can file reports and [the government can then] eliminate people filled with discontent." “The results of that meeting were delivered to the public through police stations in each city, county and district, rewards can range from 50,000 to 300,000 North Korean Won (about $6 to $7). It did not work out well. The state can’t even guarantee basic living conditions for the people, and the people can’t make their own living without breaking the law, so why would anyone want to report on anyone else?. The government is aware of resentment of how [Kim Jong Un] has handled [the economy], so the Central Committee plans to use the reward system to eliminate those people who are openly dissatisfied with the state"
Kim Jong-Un is worried he would lose his grip on power if he goes on to meet U.S. President Donald Trump on June 12 in Singapore. The North Korea leader is worried about what will happen in Pyongyang when he goes on to meet Donald Trump, he is worried about a military coup or hostile actors that would want to take power from the Kim's power house who had ruled the country since 1953. One example of the NK Purge is General Hwang Pyong-so, who had been one of the top brass in the North Korean government, and had recently disappeared from the public since October. Three other officers often seen with Kim had also disappeared or sent to the re-education camp at the North Korea prison. 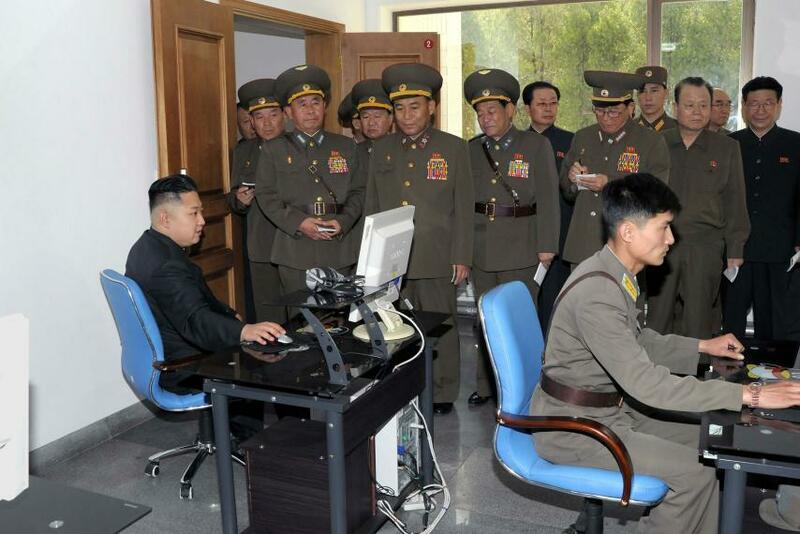 The notion that Kim is secure in his power is fundamentally wrong. Dictators may exercise extreme and draconian power like Kim, but they are also pathologically insecure about their grip on the throne. All of the public speculation about coups or interim leaders would feed the paranoid impulse of a dictator to correct that perception as quickly as possible, even if it were misplaced. North Korea had recently sent a hard tone to South Korea by not attending a meeting that is supposed to lead up to the June 12 meeting after the South Korea and U.S. Joint training on the North Korea border, a training Nk had expected to stop after the recent meetings between Kim Jong-Un and the South Korean president, Moon Jae-In. The meeting between the President Trump and Kim Jon-Un is a little sceptical right now as both sides watch carefully on the next move to the meetup. 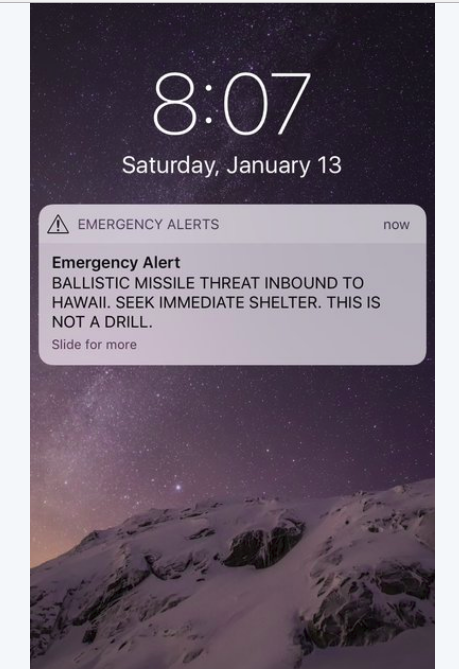 Emergency alert sent to phones of residents in Hawaii caused a panic. The emergency alert was sent in all caps "Ballistic missile threat inbound to Hawaii. Seek immediate shelter. This is not a drill." Hawaii Emergency Management Agency spokesman Richard Repoza has now debunked the claim, and said that it is a false alarm, and the agency is looking into what happened. Hawaii has been preparing for the worst case scenario since North Korea armed itself with missiles, though unlikely that the country would ever use it. The Hawaii Emergency Management Agency (HI-EMA) said that if any missile is approaching Hawaii, it would take 20 minutes, and the military will take 5mins to see if the threat is real or not. We’re going to trigger the siren system, the second siren sound. We’re going to send messages out on radio and TV, so if you’re listening to a radio or TV station, you’re going to see this. If you have a smart phone, a text is going to come out with a big banner in front of it. It’ll make a strange sound and tell you something is happening. All that will happen within the first few minutes. Hawaii residents could be asked to keep shelters for two weeks if such happens, which means they have to keep emergency supplies of 14 days. 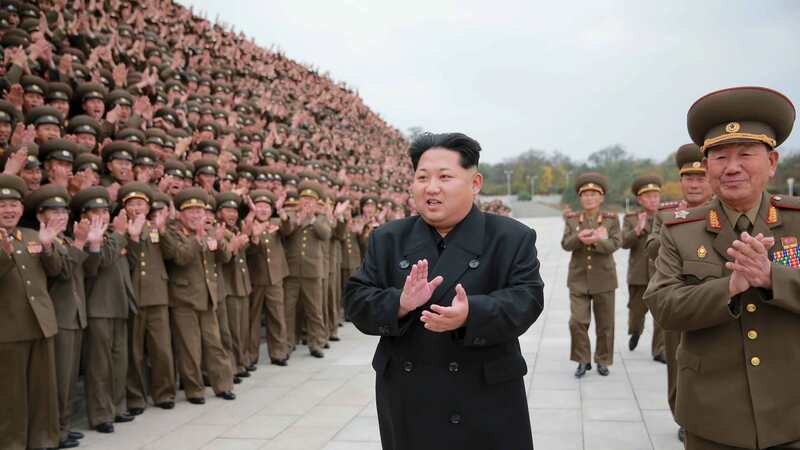 A new report has emerged that reveal that North Korean leader, Kim Jong-Un has trained elite squads that will penetrate South Korea, and kidnap westerners/expats to North Korea. The victims, according to the report will be held as hostage in the event it goes to war with the US. In an interview with a North Korea defector, Ung-gil Lee, who served in one of the units that is poised to kidnap westerners in South Korea, the unit is tasked to take the victims up North if possible, if that is not possible, they will be held hostage inside South Korea. The agents from North Korea will be armed with deadly nerve agents, and will kidnap tourists, foreign businessmen, and diplomats. North Korea have a history of kidnapping foreigners in the past, and one of those was the abduction of leading movie star Choi Eun-hee and foremost director Shin Sang-ok in the 1970s. The two were held to produce films for the regime and were able to escape after seven years. Also, a young American, David Sneddon was recently abducted from China while he was hiking close to the North Korean border, and was asked to teach Kim Jong Un English, and members of his cabinet. He went missing for 12 years, before he was sighted in North Korea. North Korea leader, Kim Jong Un, has ordered North Korean special operations battalion Friday to go ahead and kill South Korea politicians. According to the state controlled News agency, KCNA, he asks that the soldiers "eliminate the human filth occupying the [South Korean] presidential Blue House, military and the puppet government, all who have committed crimes that cannot be forgiven for all of eternity." Kim reminded the military they have been tasked with an "important mission," to "put a sharp dagger in the enemy's heart and to break its back." He then inspects the troops during the shooting drill, helicopter rope suspension training and tactical raids. 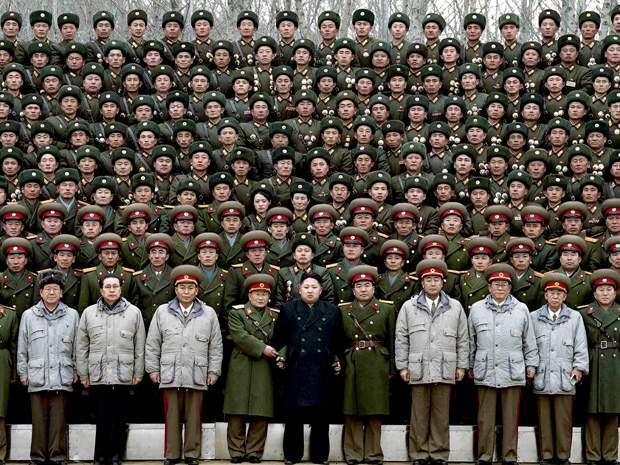 North Korea has one of the largest military with 1,170,000 troops for 2002-2012 from its population of 25 million, while the United States has 1,410,000 military personnel. In a move to celebrate its 70th anniversary, North Korea will establish it's own time zone on August 15th, by pulling back its standard time back 30 Minutes. According to the North’s official Korean Central News Agency, the move is to allow the country have its own standard time "Pyongyang Time", and also to root out the legacy of their colonial imperialist. The Japanese had ruled Korea as a single country between 1910-1945. The wicked Japanese imperialists committed such unpardonable crimes as depriving Korea of even its standard time while mercilessly trampling down its land with 5,000-year-long history and culture and pursuing the unheard-of policy of obliterating the Korean nation. Both North and South Koreans use the Japanese time zone as they believe it conform to international practice, but North Korea will be 30 Minutes behind. An official of the Seoul's Unification Ministry said that the "Pyongyang Time" could bring some minor disruptions at a jointly run industrial park at the North Korean border city of Kaesong and other inter-Korean affairs. Read more about North Korea Will Turn Back Standard Clock 30 Minutes Behind, Called It "Pyongyang Time"